Ep 124 |Purpose| Aligning with your WHY: your life depends on it with Melissa Kalt, MD. Today, we will listen to Melissa Kalt M.D. who had the recognition, success, money, and family everyone thinks will make them happy, but still, she was miserable and living a life where you wake up the same and go to sleep the same. Have you ever felt like Melissa, just “surviving” and/or just making needs be met? I have, and I even confessed in this episode that for the past couple of weeks I have felt that I’ve lost a sparkle and I’ve been taking the time to shake it off, accept and love myself, and align with my purpose and fall in love with it all over again. If you have ever felt blocked in all realms, be loving to yourself and know we all face the same challenges and that they are not permanent. We are powerful and those moments when we feel confused, without motivation and purpose, can actually help us to re-focus and re-set our alignment with the upgraded version. Many times we forget we are updating ourselves and our purpose/passion every-time we overcome a challenge, obstacle, or block. 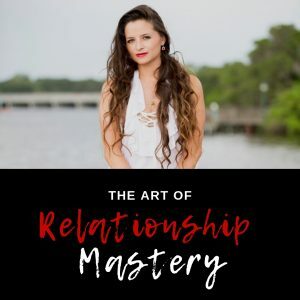 I truly love when I attract the perfect speakers for the right time in my life and my wish for you is this episode gets to you when you need it the most. Now, back to the show…..the, great news is that Melissa found that alignment and now she is sharing with us how we can re-align with our ‘why’ and create the life we desire. This is definitely an episode to save and always come back to when you feel you are struggling with living your purpose and destiny. If you are a single parent, who is the full provider and responsible for your children’s well-being, safety, growth, education, nutrition, etc, this episode is for you too, because there is nothing more delicious than being inspired by other like-minded individuals who have gone through similar situations as parents and still achieve and fulfill their potential by aligning with their purpose, their WHY. Personally, this episode touched my heart in so many ways and I’m so excited to share it with you. You will definitely be inspired and moved by Melissa when you learn from her how she was able to align with her ‘why’ while raising 5 kids on her own with no child support, and still working to provide for her kids. I was truly inspired by such a powerful mother. There is so much we covered in this episode, I will let you explore it. To let you be even more intrigued with what we covered on today’s episode, Melissa shared with us why we should always align with our body and how. And if the body is not involved, our alignment is not congruent. An aligned and strong body supports a clear, focused, and creative WHY. Remember, we also share some tips and techniques for you to connect with your body – simple and practical! Finally, we talked about my favorite topic – BOUNDARIES – and how our bodies let us know when and how we are not honoring our values, boundaries, yes, or no. Ok, I will let you go now so you can tune in and join us on this yummy conversation today. Like and subscribe to our podcast/channel.